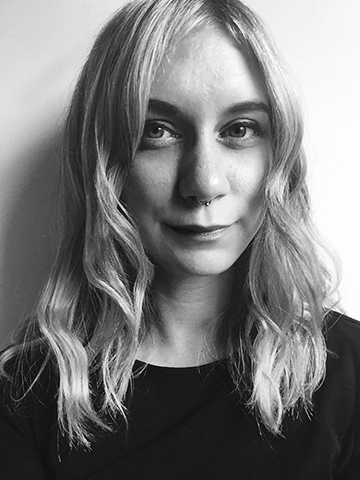 Janina Luckow studied communication design MA – time-related media in Hamburg. Besides her studies she worked from 2012 – 2017 as a freelancer in camera work, post production, animation and set design for various film productions and music videos. 2015 she assisted as a video artist for stage projection at the musical production »Mozart!« at Raimund Theater/Vienna. Until 2018 she worked as “Head of post production” for a small agency in Hamburg. Janina organized and participated as artist at numerous exhibitions with her own projects in Hamburg, for example at Kampnagel, Affenfaust Gallerie, Metropolis Kino, Körber-Stiftung or U-Werk Karoline. As a designer, I see an opportunity to deal actively with topics that shape the social debate, as well as naming content that I consider important. My work is not about merely “showing” themes that move me, but to develop visualization strategies and to accompany people in their own personal understanding. One of my latest projects is Working with the list of deaths. Since 2018 I am working for Georg Hajdu and created the website and new color scheme for MaxScore. I never used MaxScore before but I can imagine using it for my future projects.